Brigitte Herrod always designs original artwork and we love this new design. 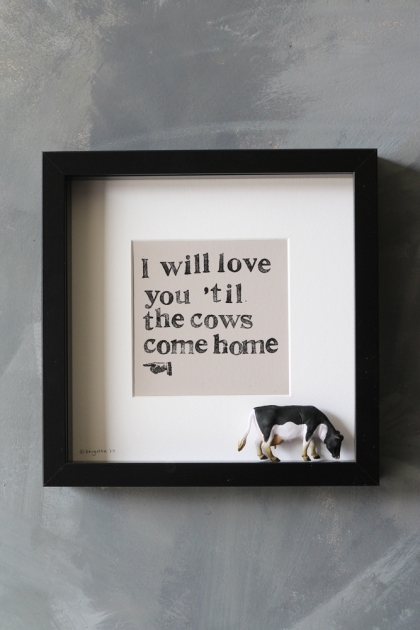 I will love you till the cows come home is the perfect romantic quirky gift. 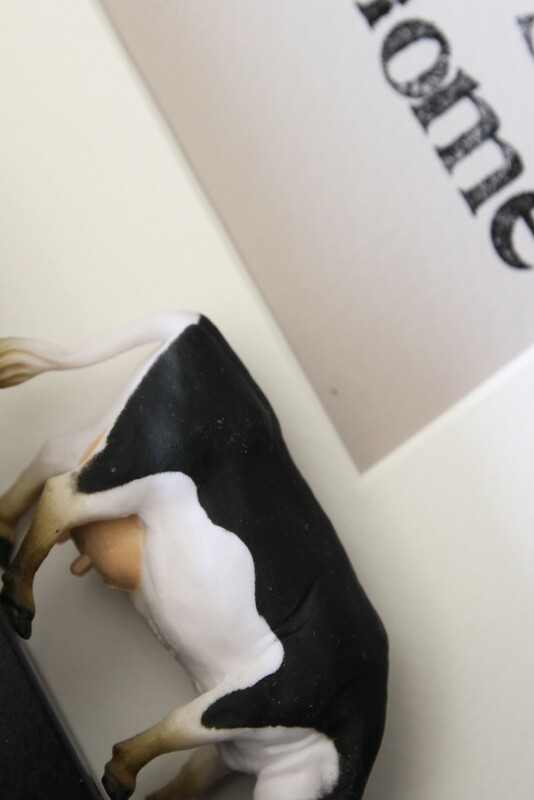 The markings on your black and white cow may vary slightly to the one pictured.